Ibram X. Kendi is a professor of history and international relations and the founding director of the Anti-Racist Research and Policy Center at American University. 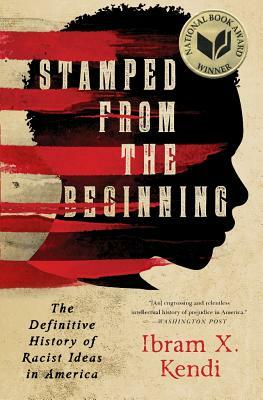 He authored the 2016 National Book Award-winning Stamped from the Beginning and the award-winning The Black Campus Movement: Black Students and the Racial Reconstitution of Higher Education, 1965-1972. He has received research fellowships, grants, and visiting appointments from a variety of universities, foundations, professional associations, and libraries, including the American Historical Association, Library of Congress, National Academy of Education, Spencer Foundation, Lyndon B. Johnson Library & Museum, Rutgers Center for Historical Analysis, Brown University, Princeton University, Duke University, University of Chicago, and UCLA. Before entering academia, he worked as a journalist. His writings appeared in The Virginian-Pilot, The Atlanta Journal-Constitution, Philadelphia Weekly, and Orlando Sentinel, among other publications. As a professor, he has contributed pieces to a number of publications, including Diverse: Issues in Higher Education, The Chronicle of Higher Education, and The Root.com. He lives in Washington, DC.